The weather’s heating up, so I get that the last thing you feel like doing is heating up your kitchen by cooking dinner. 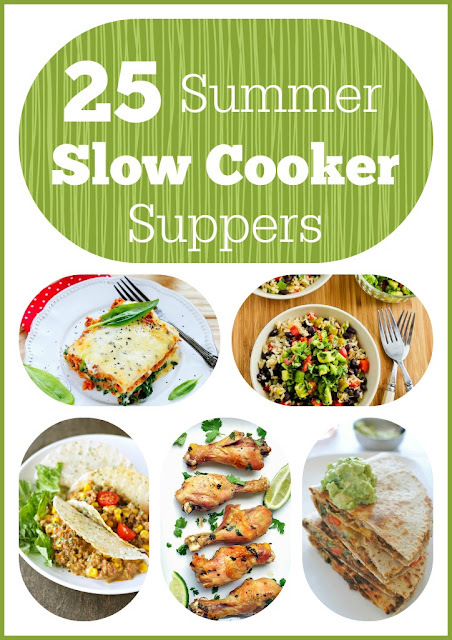 That’s why the slow cooker is the perfect solution for summer suppers! It keeps all the heat to the pot so you don’t have to heat up your kitchen. Here are twenty-five of my family’s favourite slow cooker recipes for summer that are all made in your beloved Crock-Pot. Check them out in the slideshow. PS: And just in case you didn’t get enough slow cooker summer recipe ideas, here are 78 more!